Chili mac is a great tasting food that just about everyone enjoys. Kids will especially love this great dish, which will mean that you won’t have to struggle to get them to eat it, which is especially important if you’re going through any sort of emergency, disaster or other survival situation. The #10 can will last for 25 years on the shelf without a problem, and contains 10 full servings. Preparation only takes a few minutes when you open the can, remove how much you want to make and add hot water. Buy this great can as a good way to start a food stockpile, or to help expand one you already have. 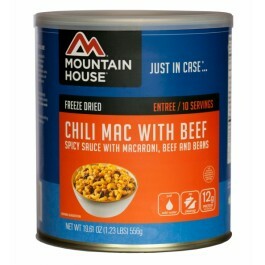 Mountain House has created this great #10 can of chili mac to help improve any food storage program. You’ll love having access to this great tasting food, no matter what situation you’re in. You can store it away in the pantry or other storage area, until you are ready to enjoy it. You won’t have to worry about it going bad, or having any problems, since each can will last for at least 25 years on the shelf. When you do open it, you can take out as much as you’d like to eat, and then replace the lid to keep the rest fresh. Once opened, this food can still last for several weeks without a problem. 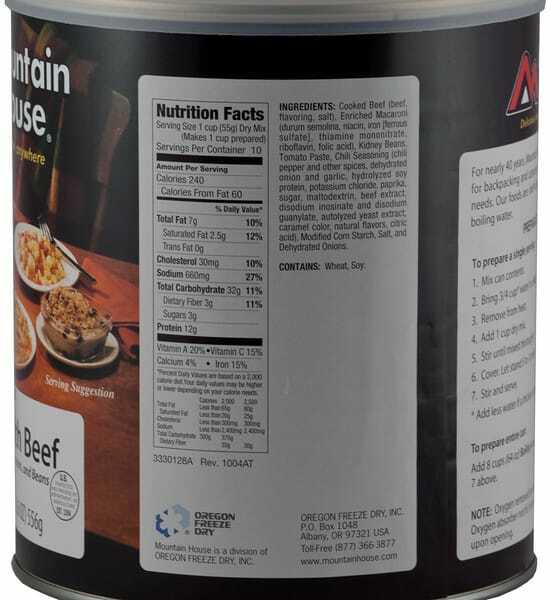 In addition to the great taste of chili mac that most of us are familiar with, this product will also provide you with some important nutrients to keep you feeling full, strong and healthy. 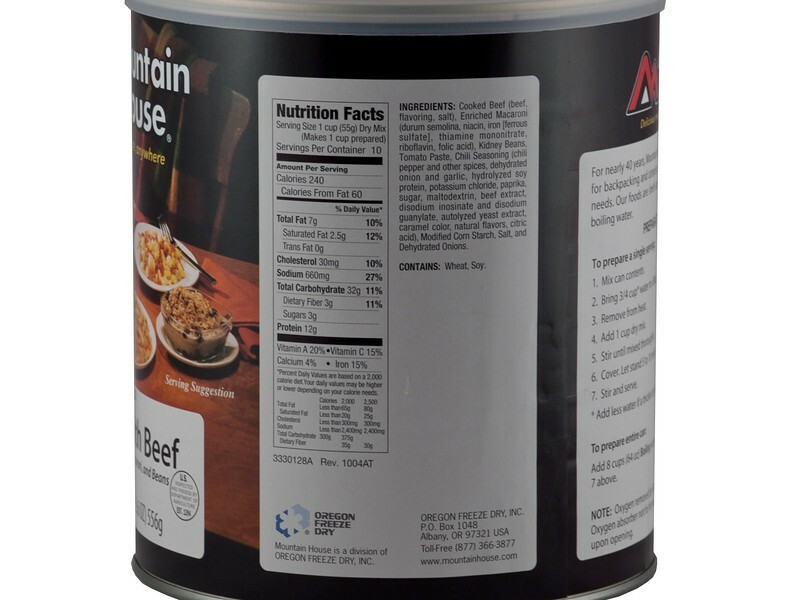 Each serving has 12 grams of protein, 7 grams of fat and 240 calories, all of which are very important for keeping you well fed in any situation. It also has other important nutrients including iron, vitamin C, vitamin A and much more. 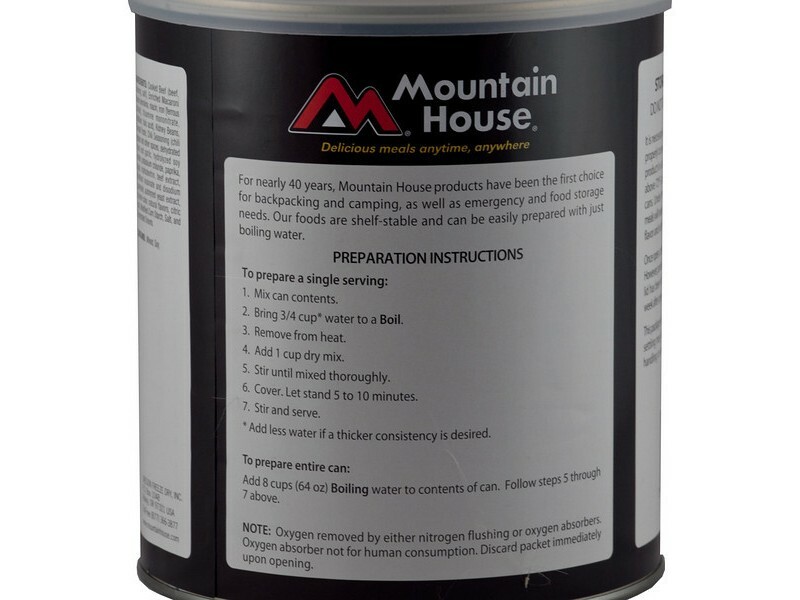 Many people get this great product from Mountain Foods to save until some sort of emergency situation. 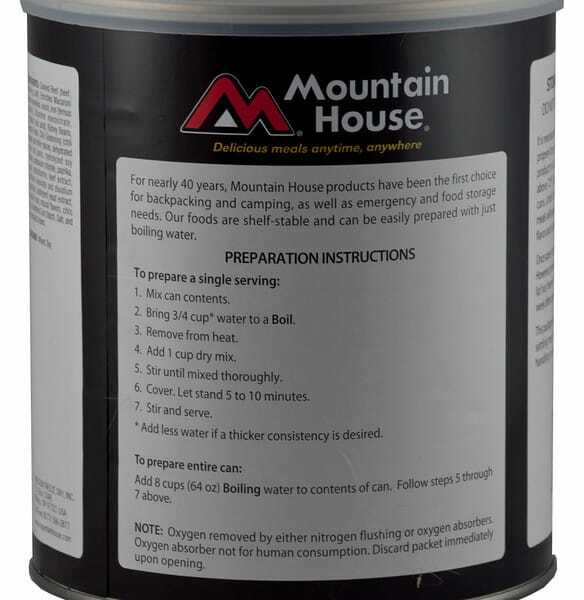 Others, however, bring it with them on camping or backpacking trips so that they are sure they will have enough to eat, no matter what type of trouble they run into. 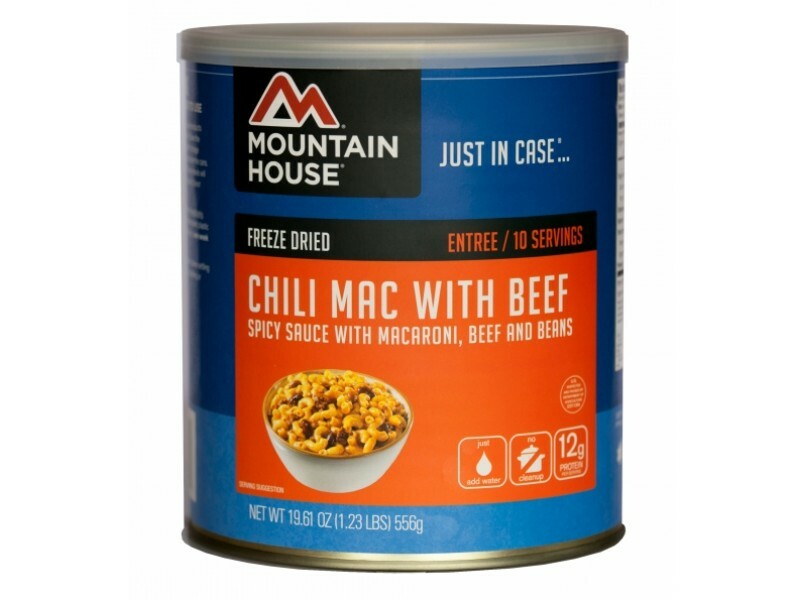 However you decide you want to use it, you’ll love having this #10 can of chili mac available to enjoy.